Come along to our free monthly NLP (Neuro-Linguistic Programming) practice group where you’ll have plenty of opportunity to… well… practice! Oh and you'll meet some great people as well! Join Jo at Champion's Manor Hall and meet other people interested in NLP, ask questions and make new connections! The topics vary each month, and if there is a particular area you’d like us to explore, let us know prior and we’d be delighted to focus a session based on that. We meet for around two hours and our groups are always friendly, welcoming, enthusiastic and very supportive of each other. 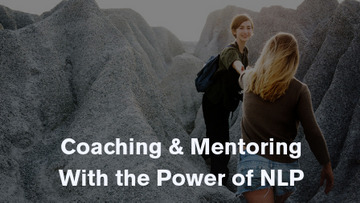 Whether you have years of NLP experience or none at all, we’d love to see you there! NLP is the study of how the way in which we think and communicate leads us into performing certain behaviours or patterns. It’s an incredibly powerful tool for breaking stubborn habits, finding solutions that you would never have considered for issues in your personal or work time, and creating serious change in your life without feeling like you’re exhausting your willpower every second of every day.